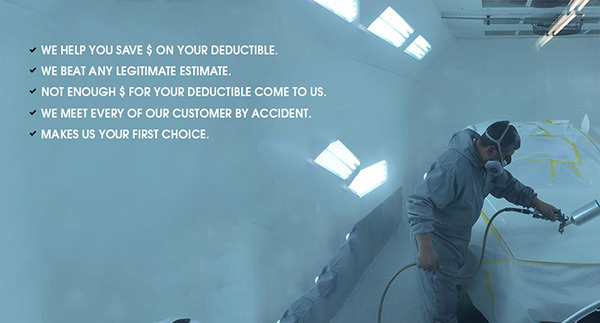 We help you with your deductible. Insurance work for all makes and models. Free rental car service (Check for details). At E.L.G. 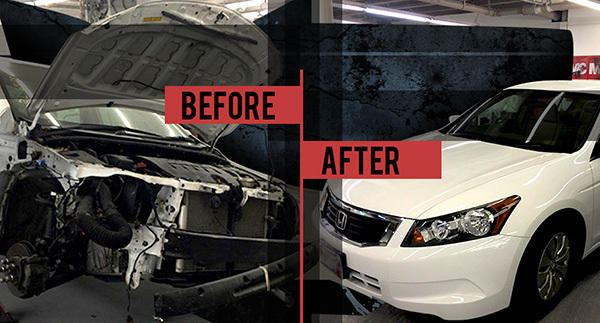 Auto Body Shop, we're dedicated to our customers and the service we provide as a repair facility. We want our customers to get the service they deserve. We give our customers a lifetime warranty on all the work done to the vehicle. We provide our customers with high quality work and top quality materials, all work being completed in a timely manner. We are open 7 days a week Mon - Sat from 7am - 9pm. We want our customers to have the ability to contact us at any time of the day. 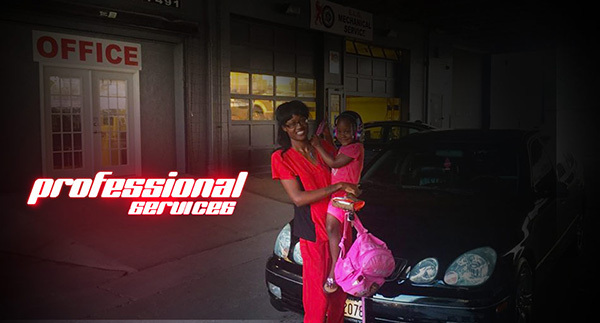 You as a customer deserve a high quality service and to get that high quality we as a repair facility want to be there for you whenever you have a question. We want to become not only your preferred shop, but also your unconditional friend that will have a solution for you anytime. 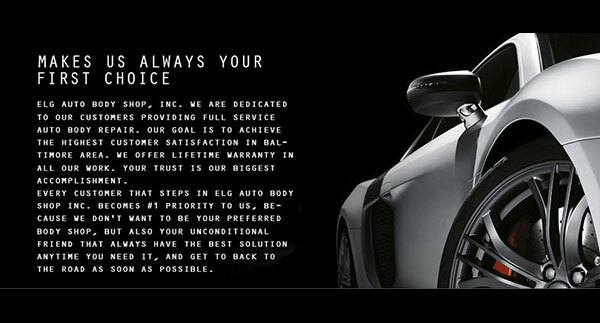 Your trust is our biggest accomplishment, and here at E.L.G Auto Body shop our customer is YOU, the car owner, it's YOUR car, it's YOUR Choice! And our goal is to provide you with top quality repairs and get you back on the road as quickly as possible!! Stop and stay calm. Never drive away from the scene of the accident, even a minor one. • Safety. Check on everyone's safety and call emergency service if necessary. • Take pictures. If you have a phone or camera handy, take pictures of the scene, damage of cars involved, and license plates. • Make an accurate record. Make notes and/or a rough drawing to explain how the accident took place, this will help you remember details later on. Who pays for my repairs? What happens if I find additional damages to my car? How do I get a rental?